Where to eat in Bandra? Your guide to eating out in Bandra. 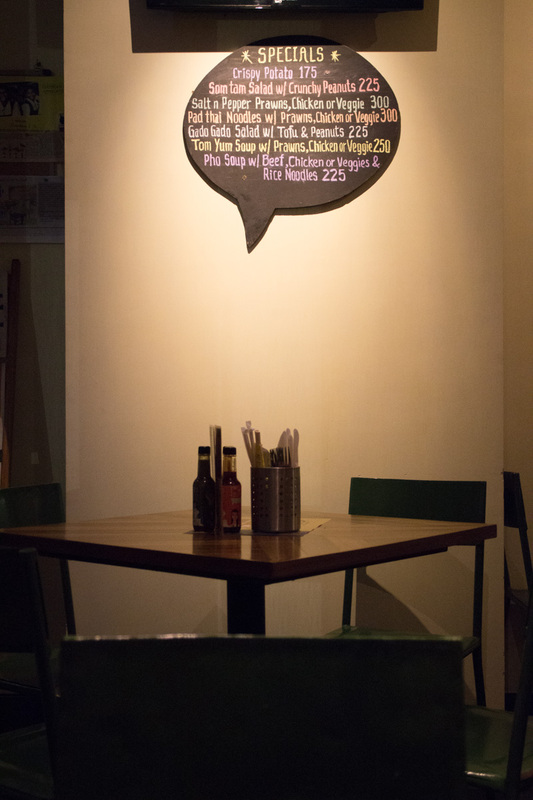 A year or more back, Otto Infinto - the Mediterranean eatery was rebranded into a Cafe style eatery with a menu that was more widespread and befitting its new name - Cafe Infinito. With the rebranding exercise came a slight change in seating arrangement that is more communal and open as opposed to the previous diner style enclosure. Since then it's been more approachable to the neighbouring corporate and consulate crowd that at times also consists of a few foreign nationalities down for official work, thus making it a corporate lunch favourite and also a post work hangout. The menu here was already diverse and drew a good enough caricature of the known European dishes. The new menu adds a huge slice of sub-continent ingredients & flavours while the European fare is more experimental in nature now. Medium&Rare along with a few more influencers were invited to experience a selection of items from their new menu. 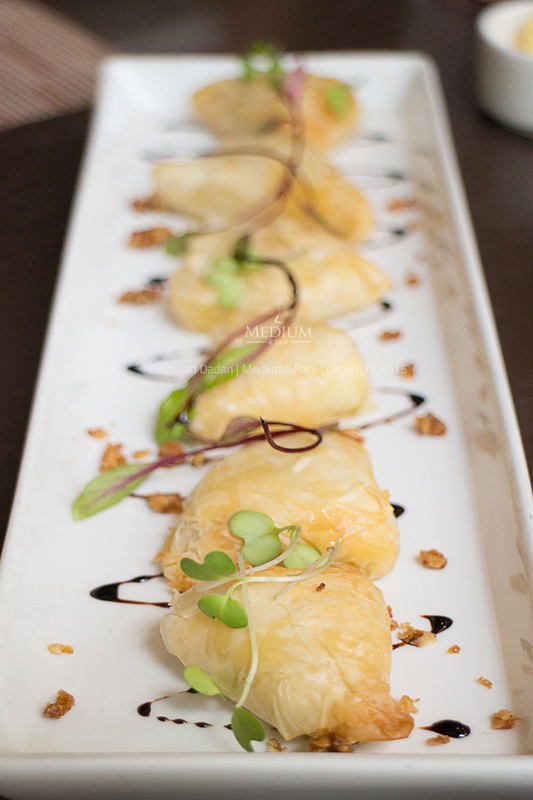 The simple yet delicate filo wrapped Brie and earthy SriLankan Prawns Curry were surely our pick of the afternoon followed by an array of largely satisfying desserts like Baked Yoghurt & Philadelphia Cheesecake. Hooters style Chicken Wings and Baked Brie came right away to compliment the quenchers. As mentioned previously, the Brie was absolutely adored by everyone for its uncomplicated overall taste and fresh cheesy goodness inside the pastry. 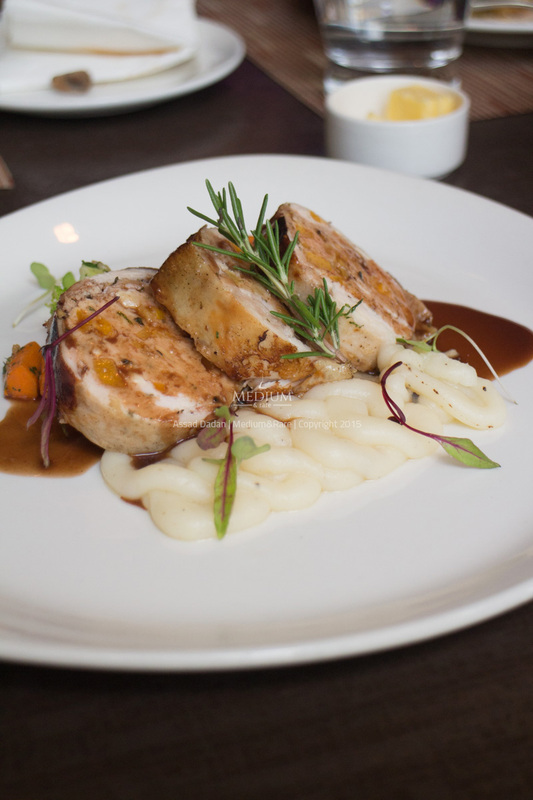 This is one dish to please even the most ardent of meat munchers. The battered Chicken Wings were high on sheen and an equally gloopy mess in the hands, while the crackling appetizer "Firecracker Prawns" (from the permanent menu) provided the crispy cover and soft meat inside which we expected from the hooter style dish. Almost pushed to the sides of the table were Jalapeno & Cheese Poppers; Probably made to feel overwhelmed by the presence of its gourmet cousin 'Baked Brie'. Bacon & Banana inside a Baguette may sound outright illegal, eerie and experimental at first, but if the word of mouth from the table is any true it's a valiant effort that may entice someone with a progressive palate. The open face - Aglio Olio Mushrooms on Focaccia should be easily appealable to everyone with its well sauteed mushrooms and melted cheddar mix and microgreen garnish. The selection of salad - Cypriot Mix and the Crispy Asian Salad; both weren't received well by almost everyone. The Asian Salad was a visual disappointment with its pale palette of colors, also the textures though varied - nuts, crispy lettuce strips and those tiny bursts from pomegranate never tied together the entire dish at any point of our few spoonful attempts. Cypriot Salad Mix of Flax seeds, Lentils, Pomegranate & Honey Yoghurt had a better visual play than the previous salad, but only mildly tasteful while on a good note incorporated heaps of healthy calories. The salads vastly remain a breakfast accompaniment or a late afternoon grub. With the meal graph fluctuating between ground zero and soaring high peaks, it was time for the actual indulgence - Mains. The Lineup was Chicken Roulade, Chicken Cafreal, SriLankan Curry & Rice, Mushroom Timbale & Cottage Cheese Moussaka. Separating itself from the lot was the gratifying SriLankan Curry & Rice (Prawns variation was effortlessly natural as compared to the Chicken variation). From its bright orange color to the soul food like comforting taste and creamy texture of Coconut Milk, it is an absolute winner for a European subjugated eatery. One spoonful mix of Rice, Curry & Prawn and we were ready to erase all the previous shortcomings. The Roulade, Mushroom Timbale & Moussaka were some of the well plated dishes. Vastly, these dishes fared above-average in taste and generous in portion size. 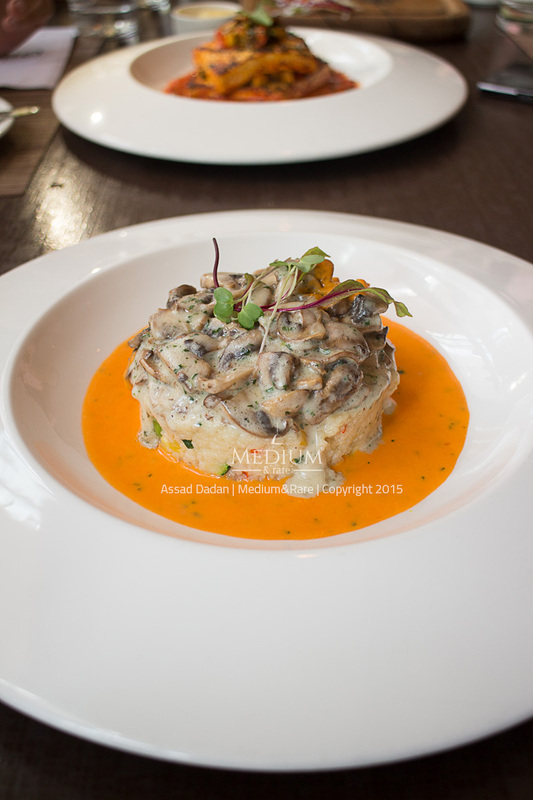 The Mushroom Timbale is certainly notch above the two with its complex layers of taste and the beaming orange curry that accompanies it. 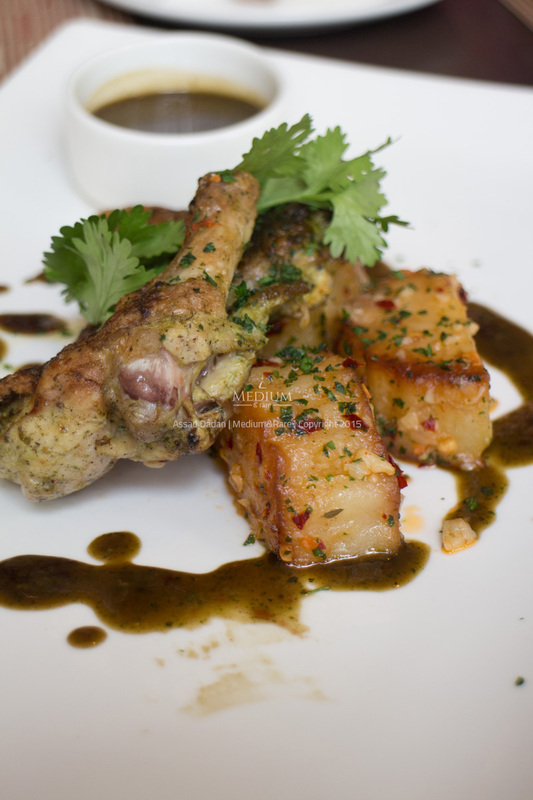 The only dish of desi origin was the Goan favourite 'Chicken Cafreal'. It's quite a risky dish to emulate, due to the complex masalas that build its curry base and coats the chicken pieces. Anyone who has experienced the famous Cafreal at Florentine's in North Goa will find Infinito's mimic a little subtle and lacking pungency of the black peppers. The Goan Bread is deeply missed here, which is meant to soak the soulful curry and marry the entire dish. Baked Yoghurt & Philadelphia Cheesecake were definitely the picks from the dessert section. Both came plated with a complimenting fruit compote which brings a bit of relish to the creamy texture of the yoghurt & cream cheese. Both of the above-mentioned desserts are much recommended at any given hour or meal, even breakfast ! Sadly the same cannot be said about the Tiramisu which was unanimously unsatisfactory across the table. The experience of the new menu has been more a of rollercoaster ride with alternating high climbs and gentle slopes. Excluding a few dishes, the new menu experience in general was a proof of largely competent cooking with occasionally diffident flavours. 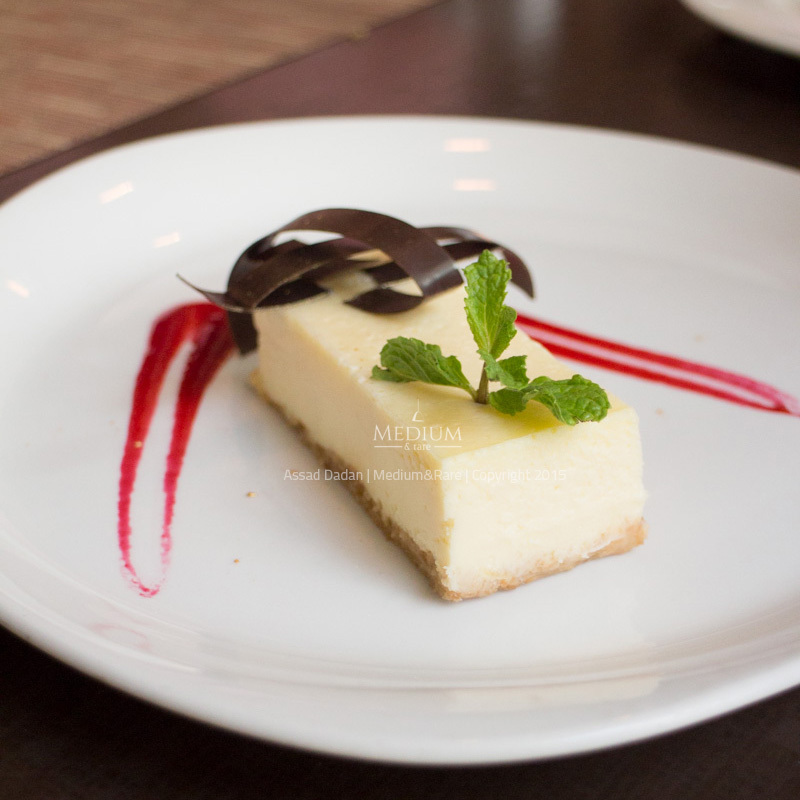 Recommendations : Baked Brie, Aglio Olio Mushroom on Focaccia, SriLankan Prawn Curry, Baked Yogurt & Philadelphia Cheese Cake. It rarely happens that the name of a brand precedes the food on offer. 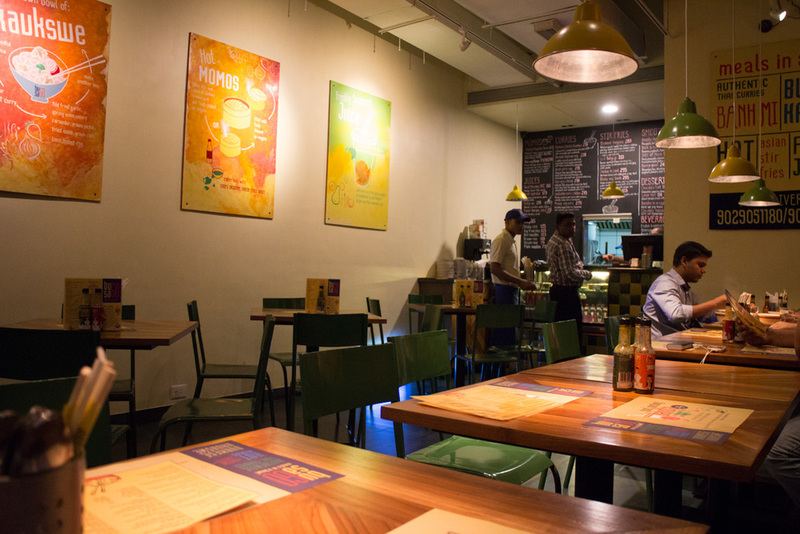 Bombay Blue has been into the culinary scene of Mumbai since more than a decade now. 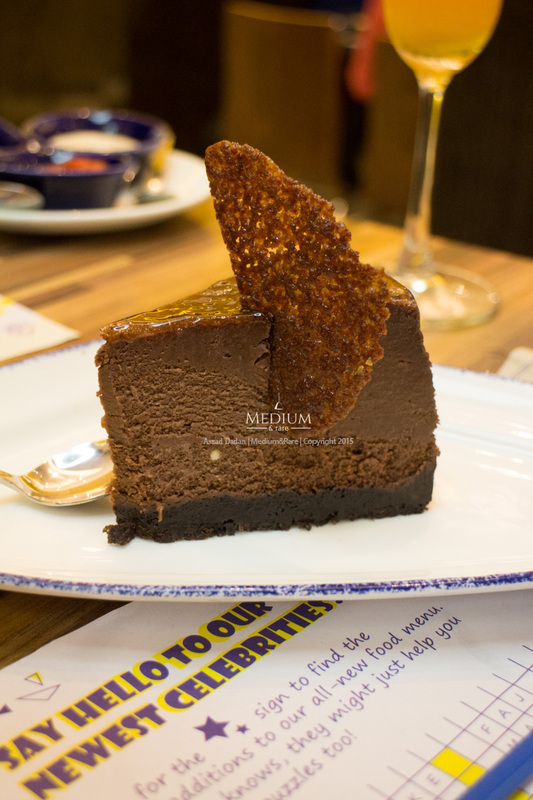 There's a partial menu revamp in order to match pace with the many budding eateries, the fare is now more inclined towards the tex-mex side of world cuisine. 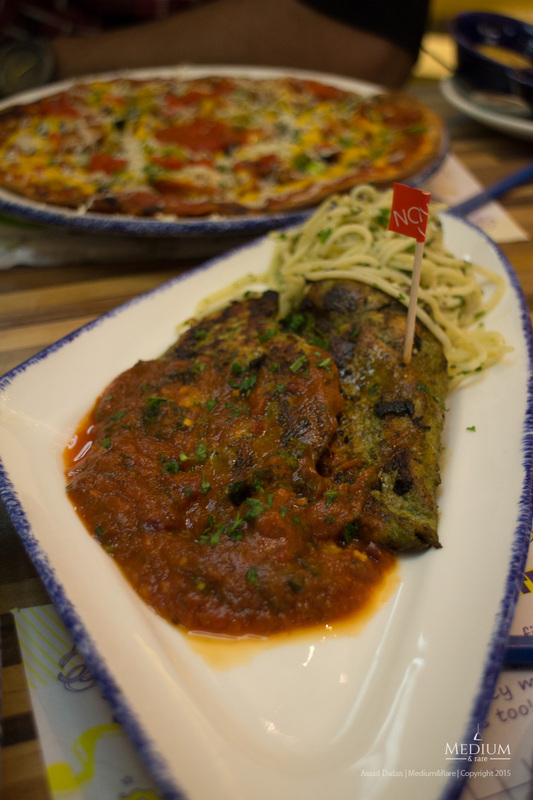 We were invited to its Market City outlet that ran packed on a Saturday afternoon lunch hour. The service was prompt and within minutes of us grabbing the high stools our table was packed with a fresh Kiwi & Crushed Pepper mocktail, a mountain of Nachos with an avalanche of cream cheese, a Chicken Tikka Salad and portion of Masala Makai Bhel. 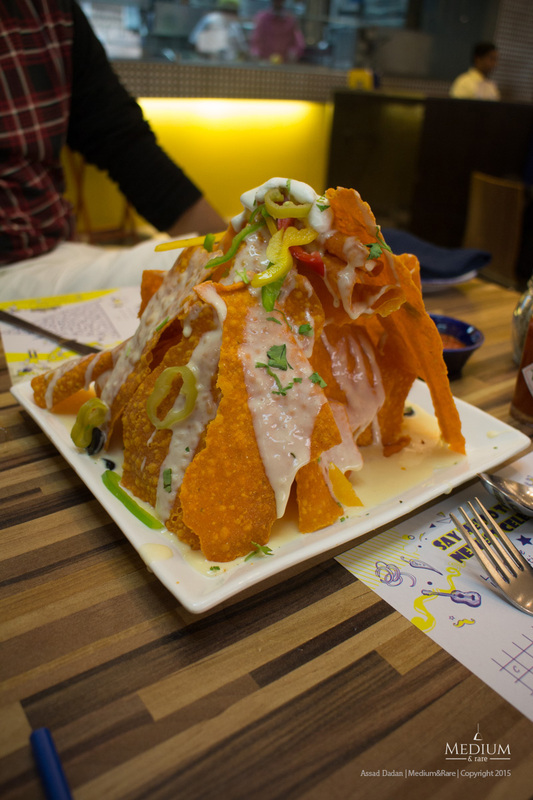 The 'Maha Nachos' was plated such to enclose a center of mexican beans and surrounded by shards of Nachos and drizzled with cheese sauce. While the visual gimmicks take a good score, the practicality is zero as one ends up consuming the Nachos and only to later discover the beans in the center. Tikka Salad and Masala Makai Bhel both were average affair and should work better as a side snack with the 99 bucks beer on offer. We sampled almost all the summer mocktails on offer. Each of the mocktail flavour came with a generous addition of its respective grated fruit flesh. The Orange & Green Apple variations won unanimously over the remaining lot. While we sipped on our refreshments, half a dozen more plates arrived at the table. Namely, a portion of Peri Peri Chicken, Onion Rings & Cheese Balls, assorted Sliders, Chicken Tacos, Peri Peri Chicken Pizza & Moroccan Grilled Chicken. While the food generally looked vibrant with its colorful ingredients, the flavours were largely suppressed and kept begging for more seasoning. Chicken was overcooked across the board and thus rendered dry in the case of Chermoula marinated Moroccan Chicken. Onion Rings, Cheese Balls & Sliders were yet again average accompaniments while the Tacos fared a notch better. Bombay Blue has seen may tides of restaurants arrive and depart in these many years. The coming of age of its menu should have been more inspiring and impactful than what was showcased to us. 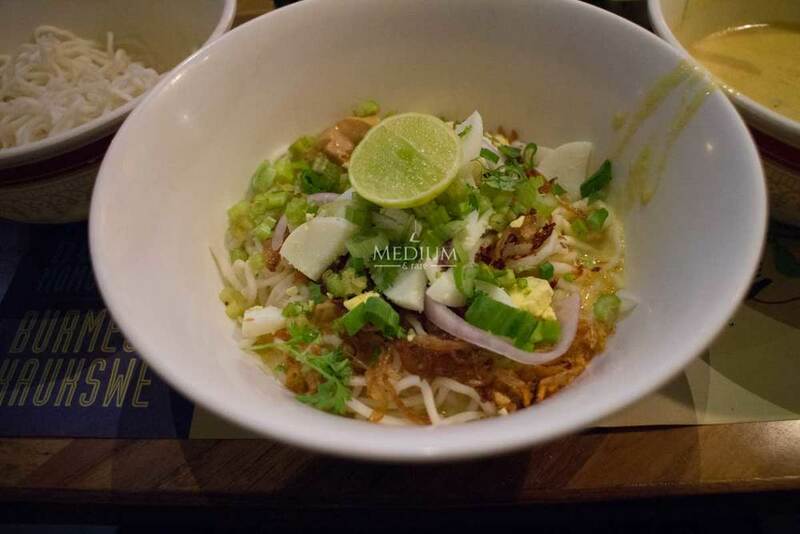 With that said, it may just strive ahead considering its loyalist still enjoy the food without any fuss while ones with a better palate will have surely moved on to the newer city favourites. 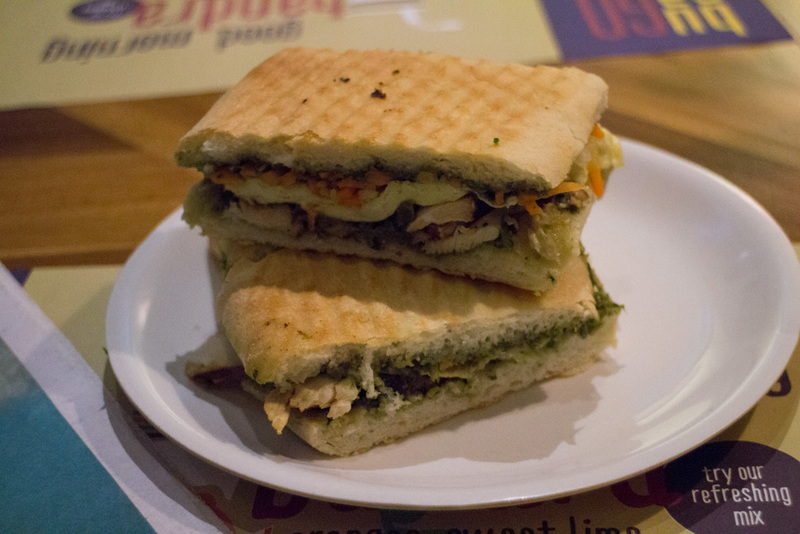 Two-One-Two's all day cafe & bar recently opened its door to the lesser fortunate side of the eastern suburbs at Phoenix Marketcity, Kurla. Located at the upper floor, 212 occupies the spot next to the Irish Pub and also extends at the backside into a descent al-fresco area too. The thought of having a Sunday brunch in al-fresco was near perfect, but was dropped as soon as we saw the construction work within a few metres and also the afternoon heat was making things all the more uninviting. So, We settled on one of the corner high seating table with an 180 degree view of the restaurant. The Lime Green dress code of the staff and the classy wooden interior builds quite a contrasting imagery on first reception. On a good note, the well staffed service is easy to spot without having to stress your eyes. Menu is well segregated and compact without much of a fuss. The same cannot be said about the Drinks menu, which is a lot more columned. 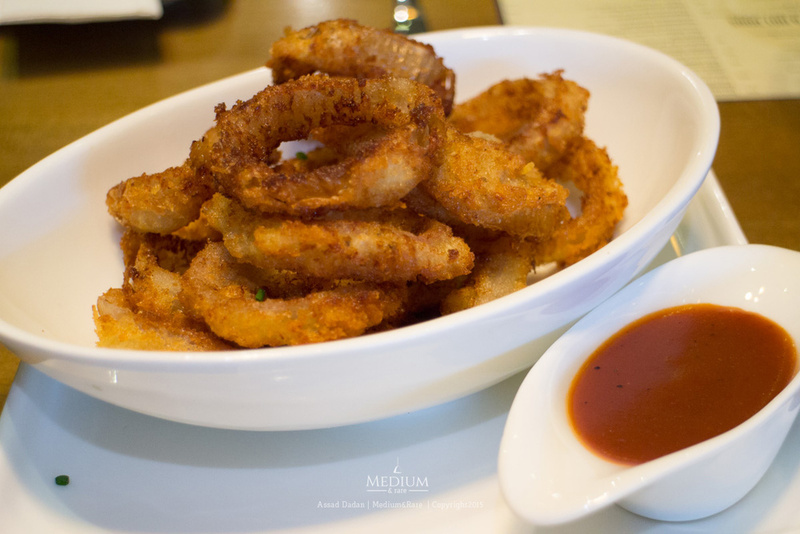 Our brunch started off with a portion of beer battered onions rings along with one deadly indulgence, one of the martini and a glass of 'Rising Sun' to sober us up. Portion was large, rings were fresh and filled with absolute crunch from the thick beer batter coating. To cover the void, we had also ordered a flat bread pizza 'Bolognaise' which sits as a chef's recommendation on their zomato page, but was a bit of a dud on portion size. The crude rectangular shaped pizza seems to be fad these days and the same is followed here. It is high on taste, texture and ingredients though better justice on the portion size is needed considering the price of the dish (495/-). Next up on our order was the Sunday special - Beef steak, but soon conveyed to us was out of stock. Weird that in first hour of service and not many tables filled, one runs out of the day's speciality dish hero ingredient ! Quite unacceptable in my notebook. Replacing the mains was a Three Egg White Omelette and a portion of Chicken Skewers. The fluffy omelette was served hot in a skillet with potato wedges, grilled tomato and a spoonful drip of Mushroom cream sauce. Neatly executed and it is high on combination of textures from the foamy egg whites with wedges and the cream sauce. Chicken Skewers is an absolute must-order dish. The bird meat is ever so succulent and the tomato chutney plays the perfect accompaniment for it along with a handful of mix greens. Lastly, Dessert was part disappointment and part orgasmic. My Crème brûlée ramekin was double the size of any other restaurant, but the custard inside was firm - Almost mousse like in texture than the runny one it should have been. Cheval's Crème brûlée in the past many months has been an epitome and I’m still to find someone to take that crown from them. 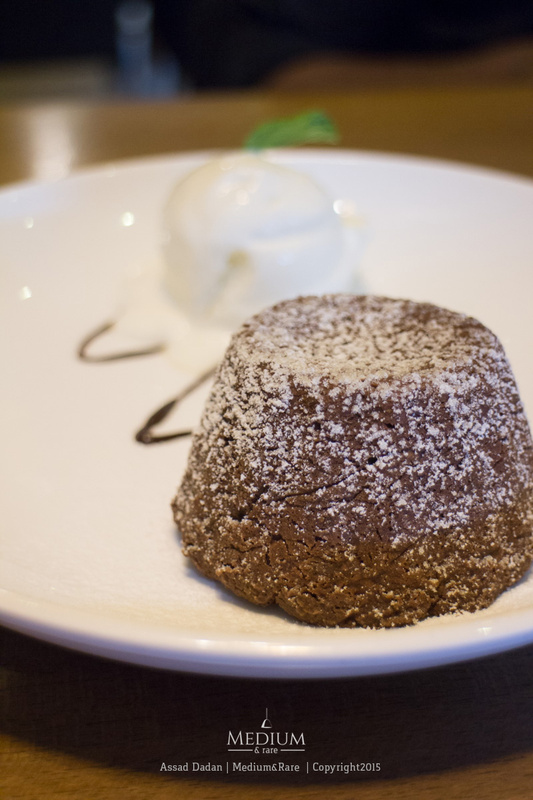 The Lava Cake and it's oozing centre was copybook stuff. Piercing through the sponge and reaching for that molten chocolate is so sensual that there isn't any replacement for it. 212 defnitely has an audience in this mall and the potential to thrive provided their teething issues (mentioned above) are resolved sooner. One important fact to be noted here is the level of salt in each serving, which was always on the lower side and that surely gets them the brownie points. The fare for three people inclusive of taxes ran to slightly above 3k. That's on par with SMD or Tertulia or any other European cafe across the city. So, Until the next one - Salud ! Kurla is that black spot in every Mumbaikar's travel route, but interestingly there exists some of the most pocket-friendly eateries.